John B Turner, founding editor of PhotoForum reflects on a groundbreaking 1976 survey of institutional attitudes toward the collection and exhibition of photography in New Zealand and asks how much has changed? In 1976, two years after PhotoForum was founded, and following The Active Eye survey of contemporary photography, Ted Quinn set out to document the state of photography as an art in New Zealand. What he found was ignorance, outright dismissal, and confusion. But there was also enthusiasm in the air and positive signs of a growing interest in the medium, among the quiet cries for help from organisations keen to do something but unsure about what to do or how to do it. Private collectors were virtually nonexistent and almost nobody thought of buying a photograph. One arts centre didn't know if there was enough interest in photography to make it worthwhile holding shows, and more than one dealer claimed that photography was not an art and would not be shown by them. The Auckland Art Gallery had only recently started its photography collection and our National Art Gallerysaid they had neither a photographic collection, nor intentions regarding photography. The Govett-Brewster Gallery, now the foremost promoter of contemporary art, was thinking of collecting historical work, and the John Leech Gallery, now a leader in selling historical photography, said they only dealt with original works of art (ie. not photography). Almost hidden in PhotoForum's web archive, Ted Quinn's snapshot of the time is well worth revisiting as a reminder of how much has changed in the New Zealand art scene in regard to the acceptance of photography as art and social document. New Zealand's universities and polytechnics, starting in the mid-1960s have nurtured influential teachers, who in turn spread their knowledge and enthusiasm throughout secondary and tertiary education. Some of the public art galleries, museums, libraries and private galleries would have changed their name, been subsumed into another branch or organisation, or disappeared altogether. That is particularly so for the small, enthusiastic, underfunded photo galleries that flourished and for a brief time, helped to change the climate for taking photography more seriously than hitherto. We can't say much for the 50% of canvassed organisations that did not respond to Ted's survey, but we did know that raised some embarrassing questions about why photography was being neglected by those who should have known better. What we can say, however, is that along with the advances that came when the National Art Gallery started collecting contemporary photography under Andrew Drummond, and it's new Director, Luit Bieringa (who was instrumental in creating The Active Eye survey of contemporary NZ photography in 1975), there has been some backsliding from some prominent public institutions as well as great advances by others. The Auckland Art Gallery, in particular, has seldom fulfilled its promise. And no New Zealand public gallery has established a permanent display space to highlight photography and provide students and teachers with a living resource of exemplary works from the histories of photography. The absence of such an obvious educational service was pointed out in by the late Van Deren Coke, visiting Fulbright scholar in 1989, and later Director of Photography at the San Francisco Museum of Modern Art, but Auckland's showcase gallery, now expanded and refurbished, still tends to sit on its hands in regard to properly showcasing New Zealand's best photographers. Ted Quinn's survey is also a reminder of how much more can and should be done by those responsible for preserving and promoting New Zealand's history, culture and heritage. And that should concern all New Zealanders. Crucial decisions have to be made to properly resource our public institutions so they can carry out their duty of care. As John Miller and Reg Feuz have highlighted for PhotoForum, and I know from my own experience of trying to place major collections of photographs in safe hands, there is a huge log-jam of priceless private collections that now need the attention of curators, librarians and conservation specialists, if they are not to be lost. We need the people responsible for deciding which collections and how much of them must be preserved for the future to stand up and explain what they are doing, or need support to do? Merely paying big money - the penalty for neglect - for a few star works that should have been collected before "the market" paid attention and upped the ante, is not enough. They might not be perfect, but the curators we now have - and we could do with more of them - need to be given more freedom to roam and cogitate. Our dedicated private art dealers often provide exceptional service, but they can only do so much, and our public collectors need to rely less on them to seek significant work at its source, as early as possible. That would be risky, of course, but freed from the dealer's ring fencing, and institutional committees who too often don't understand much about photography, the odds are very much in favour of a conscientious curator being able to acquire significant cultural artifacts wholesale from the many practitioners without a dealer, or discounted through collaboration with dealers. What most serious photographers need when they are getting into their stride, or approaching completion of a body of work, is sufficient funds to pay for their art and living expenses so they can get on with doing what they do best, or branch out into new territory if that's what they need to do. What wealthy art collectors do with their disposable income is their own business. But our public art servants could save money as well as spread support if they were freed to get ahead of the game and buy significant work when it is relatively fresh and unknown. That's what the best collectors have always done. Knowing they have representative highlights in the bag, as it were, would do much to remove the belated pressure that builds up after years of institutional neglect, or undervaluation of an artist's work, and forces competition with private buyers and competing institutions also trying to catch up. Having already acquired significant works, our public institutions could free themselves from the guilt-laden pressure of seriously overdue purchases at indecently inflated prices. The high prices paid at auction for some works are simply ridiculous, and the really big retrospective purchases do more to inflate ego or depression than swell the artist's bank account. Exorbitant fees and increased insurance cover should be seen for what they usually are: a premium on neglect. The purchase of overpriced works by art stars like Andreas Gursky, is indicative of the cultural blue-chip cringe favoured by PR-focussed galleries, and further highlights the neglect of New Zealand photography by them. It's an old grizzle, but I still hear from some of New Zealand's best artists that none of the people responsible for public acquisitions have ever visited them to see work before (and if) it is exhibited. If our public art servants were empowered to do the rounds, and had discretionary funds to follow their intuitions, many a bargain of mutual benefit to practitioners and institutions could be struck and a better, more relevant public representation of our cultural and social history could be preserved. Ted Quinn: 'Results of a survey on the State of New Zealand Photography as regards Public and Private Art Galleries, Libraries and Museums'. Photo-Forum Research Supplement, April 1977. The present forms that history, and given the increasing local body awareness of both this and the documentary value of photography, the near future, it seems, holds the promise of financial and moral support for important contemporary historical projects. In fact, the precedence has already been set. The Hawera Borough Council, The Thornton Historical Society, and The Historic Places Trust are among those who have commissioned such projects. On the other hand, our galleries are beginning to recognise photography as a viable art form in itself. 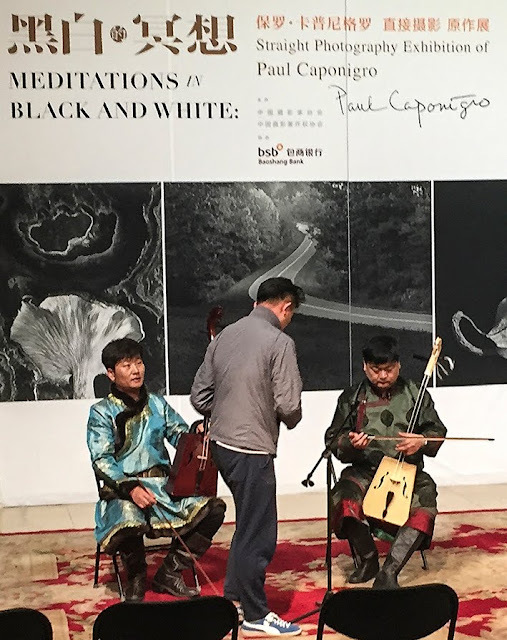 Increasingly over the last ten years they have been accepting travelling exhibitions, and arranging their own shows — both on a local and a national level. have neither a photographic collection, nor intentions regarding photography. Interestingly, it is the smaller public institutions and the private dealer galleries that have bravely faced the problems that photography presents as a 'new art' and they are the closest to the survival line. They must rely on the tender patronage of a not always appreciative public, who are too often 'content to view, but not buy'. As the Pofflatt Gallery points out, photography is not yet a 'popular' art medium. There is still a real need to educate even some of the more responsive galleries in the good and bad of it. It seems that many of our museums and galleries would welcome the support of local photographers in the form of practical help, (the printing of old glass plates and negatives, for instance) and constructive criticism. It is also important that we remember the necessity of gallery visiting — galleries can not be expected to continue to show photographs if their exhibitions are poorly patronised by those interested in the medium. For help with the publication of this survey we would like to thank those who took the time to contribute, as well as Photographic Wholesalers Ltd. for their generous advertising support. Far North Regional Museum, PO Box 94, Kaitaia. Local/historical. Northwood collection. Captain Cook Memorial Museum, York Street, Russell. Local/historical collection from 1860 onwards on permanent display. recess re transfer to Northland Regional Museum. Exhibitions: United States Information Service travelling shows. Auckland City Art Gallery, Kitchener Street, Auckland 1. Permanent photography collection founded 1975, under joint honorary curators Tom Hutchins and John B. Turner. Purchases made each year of contemporary and historical New Zealand work. Holdings totalling over 100 contemporary prints include: Gary Baigent, Ben Boer, Simon Buis, Glenn Busch, Gillian Chaplin, Richard Collins, Bryony Dalefield, John Daley, Rachael Feather, John Fields, Marti Fried lander, Murray Hedwig, Paul Hewson, J.H.G. Johns, Alan Leatherby, Allan McDonald, Mac Miller, Max Oettli, Peter Peryer, George Silk, Clive Stone, Do Van Toan, John B. Turner, Len Wesney and Ans Westra. "We see these as the base for a continuing acquisition year by year so that a representative collection of contemporary and recent New Zealand work might be built up systematically". Exhibitions organised or toured include: The Photographer's Eye, Maori in Focus, Nineteenth Century N.Z. Photographs, Brassai, Bill Brandt, New Photography U.S.A., Three New Zealand Photographers: Baigent, Collins, Fields, and Colour Photography and Its Derivatives*. Auckland Central Public Library, Wellesley Street East, Auckland 1. Local/historical collection (in N.Z. department). Their interest is in information contained in images: 8,000 glass negatives with prints, 3,200 glass negatives without prints, 7,500 film negatives with prints, 1,000 prints with or without copy negatives. Several display collections: goldfields, early aviation, etc. Touring exhibitions shown. Museum of Transport & Technology Inc., Great North Road, Western Springs, Auckland. Department established in 1970. Historical collection (especially aviation, transportation). Film library. Photographic equipment. Permanent displays. Concern with copying and preservation. Thames Mineralogical Museum, Cochrane Street, Thames. Small historical collection (200 prints on mining). Permanent display. Waihi Arts Centre & Museum, Kenny Street, Waihi local historical collection (re mining days). Permanent display. Exhibitions: Peter Maughan and Max Oettli. Waikato Art Museum, Box 937, Hamilton. Historical collection of 4,000 prints (2,000 catalogued with copy negatives). Small contemporary N.Z. collection. Intending to expand collection, especially historical. Exhibitions: 3 + 1 (four Waikato Photographers*), Marti Fried- lander* •, Max Oettli* *, Mac Miller*, Photography 1971 •, The Active Eye, Edward Weston 19th Century N.Z. Photographs, Maori in Focus, New Photography U.S.A.
Museum of the Cambridge Historical Society, Town Hall, Leamington, Cambridge. Local/historical collection. Permanent display. "The photographs are loaned on occasions to various groups in the town. Cambridge Rugby Assn. recently borrowed photos of various football teams — 100 years of football was recently celebrated in Cambridge". The Elms Trust, c/o Mr D.H. Maxwell, The Elms, Madden Street, Tauranga. A.N. Brown collection (1860-1880): 4 albums (approx. 200 each), plus 116 loose, Maxwell family collection (1870 to present day). Intend supplementing Brown collection and history of "Elms' (Te Papa Mission Station). Historical photographs available to bona fide research workers. Whakatane District Centennial Museum, P.O. Box 203, Whakatane. Local/historical collection of 1,500 prints, some negatives copies and filed. Permanent display. Have shown touring exhibitions but they were not very popular. Army Museum, Waiouru. Historical collection of 2,000 prints. Recruiting displays etc., tentative plans for department. Rotorua City Museum, PO Box 627, Rotorua. Department established 1969. Local/historical collection: 4,000 prints, 4,000 film negatives, 1,000 glass plates. Permanent and temporary displays. "The most comprehensive collection of photographs of the Volcanic Plateau". Te Awamutu & District Museum, PO Box 526, Te Awamutu. Local/historical collection of 800 prints. Permanent display. Exhibitions; Local camera club and Brian Brake. Hawkes Bay Art Gallery and Museum, P.O. Box 429, Napier. Local/historical collection of 7,000 photographs, negatives, and glass slides. Permanent display. Exhibitions: 'Precious Moments' — James White*, The Active Eye, Maori in Focus, Gaslight on Muddy Streets. Article in May/June 1971 issue New Zealand Photography by Bruce Weatherall. Hastings City Cultural Centre, Private Bag, Hastings. Local/historical collection. Keen to exhibit work of "innovative and artistic merit." Exhibitions: Historical Architecture of France (ex French Embassy), 'Old Hastings in Photographs' *. "We are keen, but are the photographers in New Zealand???? We would welcome any suggestions you have for photographic exhibitions." Govett-Brewster Art Gallery, PO Box 647, New Plymouth. 19th Century N.Z. Collection. Exhibitions: 19th Century N.Z. Photographs**, The Active Eye, Edward Weston. Interested in further exhibitions and purchase, mainly of 19th Century work. Taranaki Museum, PO Box 315, New Plymouth. Local/historical collection. (Also glass plate collection from an Opunake photographer, 1880-1940). Intend cataloguing collection and maintaining historical record of Taranaki. Permanent display of Colonist "portraits. Manawatu Art Gallery, PO Box 565, Palmerston North. No departments. "Flexible bodies, minds and cupboards". Acquisition of photography since 1974. Holdings include: Maori in Focus (42 works), Jim Payne (2 works), David Aitken (1 work), Glenn Busch (portfolio). Intend purchase of contemporary work on regular basis, i.e. large proportion of 'The Active Eye' likely to be bought. Exhibitions: Photography 1971, Leith Jennings & Jim Payne*, New Photography U.S.A. (& Workshop), The Active Eye**, Environment Ketetahi (David Aitken)**, Max Oettli "Night Out'*, Marti Fried lander, Edward Weston, Cody Photographs and works by Noel Trustrum & David Aitken, Maori In Focus**, Bill Brandt. Photographs also included in group exhibitions, e.g. annual Manawatu Review. The new gallery will have space for permanent displays and accessible print storage for study purposes. Manawatu Centennial Museum, PO Box 153, Palmerston North. Department established 1970, with main concern record of artifacts etc. Historical material lodged with Palmerston North Public Library. Exhibitions: Kibbutz (Israel Office of Information), China (Chinese Embassy), Photographs by Brian Brake. Sarjeant Gallery, PO Box 548, Wanganui. Have had photographs in permanent collection since 1925. Denton International Print Collection (83 prints) 1925, Frank Denton Collection (46 prints) 1965, Ken Griffiths' Flesh Series: Mortuary (12 Prints) 1976. Exhibitions: Environment Ketetahi (David Aitken), Three New Zealand Photographers, Civil Engineering in Switzerland, Photography as a Fine Art (U.S.I.S. ), Max Oettli Photographs, Professional Photographers' Association Exhibition, The Active Eye, Wanganui Camera Club Annual Exhibition*. Norsewood Pioneer Museum, North Norsewood. Local/historical collection. Lands Trust, 1972*, Max Oetlli, Maori in Focus, The Active Eye. Interested mainly in local work. Academy of Fine Arts, Private Bag, Wellington. Exhibition: "Ex Camera', 1977*. Alexander Turnbull Library, P.O. Box 12-349, Wellington. Department established 1944. Historical collection of about 141,000 negatives, 148,000 prints and 583 albums. Displays from collection 4-6 per year, and "Maori Heritage'. "Will continue collecting, organising and making historical photographs available. Basic purpose of collection is to serve historical research workers". Dowse Art Gallery, P.O. Box 30-396, Lower Hutt. 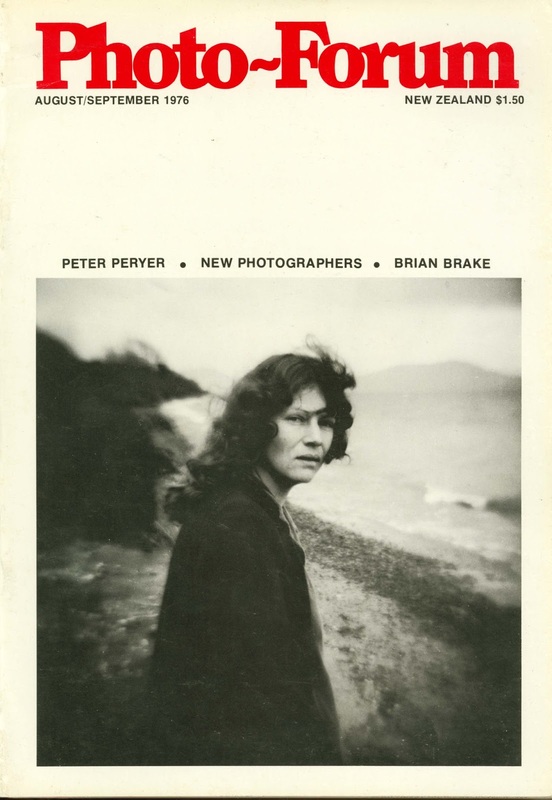 Exhibitions: Ans Westra*, Brian Brake (40 Photographs)**, Canadian Photographs and The Active Eye. "The Dowse is committed to photography as an art form and will do what it can in education and display to further this commitment." National Archives, Department of Internal Affairs, 85 The Terrace, Wellington. Historical collection of about 13,000 prints from 1890 to 1965. "Photographs included in archive's groups according to provenance. As holdings increase is hoped to acquire specialist staff and equipment for preservation." National Art Gallery, Private Bag, Wellington. "Over the eight years that I have been here there have been about six exhibitions. National Museum, Private Bag, Wellington. Department (with varied emphasis) since about 1905. About 60,000 negatives comprised of the following main collections: Burton Bros/Muir & Moodie (Maori portraits & N.Z. topographical views 1880-1910), G.L. Adkin (family photographs & views of Horowhenua and Wellington, 1910- 1940), Chapman-Taylor (concerned mainly with his architecture), G.H. Burt (commercial and industrial work, 1920- 1940), F.B. Butler (commercial portraiture & views around Taranaki 1870-1940), Thos. Andrew (Samoa: people and scenes 1900-1915), Spencer Digby (commercial portraiture and industrial work 1930-1950), James Bragge (Wellington and Wairarapa scenes, buildings, about 1875), Connolly & Co. (portraits of Wellington dignitaries, about 1887), American Photographic Co. (Maori portraits, about 1870). Also a large number of original prints including work of Rev. John Kinder, Alfred Burton, George Moodie, Josiah Martin, James Bragge, W.H. Davis and Frank Coxhead. Exhibitions: Gaslight on Muddy Streets* •, Maori in Focus, 19th Century N.Z. Photographs, Camera in the Coral Islands**, Wellington 1857-1973**, D.S.I.R. Science Photography* *, Brian Brake, and Raupo and Velvet* *. Police Museum, Private Bag, Trentham. Historical/crime collection of about 100 prints. Intention is to build up historical collection. Renwick Museum, High Street, Renwick, Blenheim. Local historical collection of 800 photographs. Permanent display. "We find the old photographs are of keen interest to the elderly folk but of little interest to the younger ones". Cawthron Institute Museum, PO Box 175, Nelson. Local/historical collection. Davies N.Z. plants collection. Permanent display. Murchison Museum, PO Box 108, Murchison. Local/historical collection (Murchison earthquake, gold mining). Permanent display. Nelson Provincial Museum, PO Box 313, Nelson. Department established 1973. Historical collection (from 1850s to 1940s), includes about 250,000 negatives. Photographers include the Tyree brothers, W. Davis, W.E. Brown, T. Bloch, Davis & Nairn, Brusevitz, Kingsford, J.N. Jones. Local historical collection. Darkroom facilities. Tyree exhibition in preparation. Permanent displays. Arthur's Pass National Park Headquarters, Arthur's Pass. Intention is to expand photographic coverage of the Park for records and display purposes. available, preserve and prevent deterioration of material. Regular local/historical exhibitions. Canterbury Public Library, Cambridge Terrace/Hereford Street, Christchurch. Historical collection, including postcards, is uncatalogued. Intention is to have a subject catalogue and proper storage, and to collect historic work. Currently doubling annual expenditure on photography books and periodicals. The Fenrymead Trust Technological Transport Museum, PO Box 81, Christchurch. Historical collection includes cameras and negatives. Intention is to set up a historic camera display, Victorian photographic studio, and photographic archives as funds permit. Aigantighe Art Gallery, 49 Wai-iti Road, Timaru. No holdings. Exhibitions: Chinese Peoples' Republic Exhibition, Sally Adair: 'Asian Journey', Christchurch Printmakers. Will continue to exhibit photographs. collection more accessible, and improve storage. Otago Early Settlers' Association, Lower High Street, Dunedin. Local/historical collection of about 1,000 prints. Permanent display. Otago Museum, Great King Street, Dunedin. No Holdings. Dunedin Photographic Society club rooms and display area. Have shown touring exhibitions and "Would like more". Hocken Library, Great King Street, Dunedin. Has 40,000 - 50,000 photographs, negatives and a full-time Photo Librarian, and knowledge to collect and care for photos. Lakes District Centennial Museum, Buckingham Street, Arrowtown. Local/historical Collection. Permanent display. Vincent County and Dunston Goldfields Museum, Clyde, Otago. "We have originals of early settlers, dredges, sport, mining, school groups, on display under glass on wall of separate room." Invercargill Public Gallery, Anderson Park, Invercargill. No holdings. Exhibitions: The Active Eye combined with local photographic displays and seminars. "We have probed the possibility of promoting photography with the help of the Arts Council of N.Z." Southland Museum, Victoria Avenue, Invercargill. Department established 1974. Local historical collection(equipment, films, negatives, prints, slides, plates: 2,500 items). Exhibitions: Early Southland* and several touring shows. * Originated exhibition. ** Originated and toured exhibition. John Leech Gallery, 106 Albert Street, Auckland. "We do not intend at present to go in for exhibitions of photography. This gallery deals only with original works of art." New Vision Gallery, 8 His Majesty's Arcade, Queen Street, Auckland 1. Exhibited Gary Baigent, 1967. "We do not plan to hold further photographic shows". Peter Webb Galleries, Lorne Street, Auckland 1. Exhibited Peter Peryer, 1976. Intends showing works by both Paul Johns and Ian Macdonald. Peryer photographs in stock. Snaps — A Photographers' Gallery, 30 Airedale Street, Auckland 1. Exhibited in 1976: Max Oettli, Rachael Feather, Peter Peryer, Murray Cammick, Ben Boer, Glenn Busch, Robin Morrison, Greg Stevens, Gillian Chaplin, Allan McDonald, Merylyn Tweedie, John Reynolds, George Baloghy, Ted Quinn, Paul Hewson, John B. Turner, John Fields and Murray Hedwig. Snaps has photographs in stock and on consignment. "Snaps in 1977 will continue to provide a regular place to exhibit and view and we hope we will promote a greater understanding of photography." photographers appear to have regarding their own work." asked. Some guarantees as to permanence of materials, and the limitation of editions might attract the collector. Until the photograph is on the same acceptance basis as say screenprints and etchings and promoted on the same lines, I see little hope for its development as a popular art medium." Waikato Society of Arts, Victoria Street, Hamilton. Exhibited: Waikato Society of Arts Photography Group (annually), Photography as a Fine Art: work by students in America (U.S.I.S. ), and a three-man show by George Lelieveld (Auckland), Jim Payne and Des Kelly (Wellington). "We have not found photographs particularly saleable but we encourage photography because we consider it a viable art form. Members of the Society belong to our Photography Group because they are disenchanted with what camera and photographic societies offer." Antipodes Gallery, Hope Gibbons Building, Comer Taranaki and Dixon Streets, Wellington 1. Exhibited Peter Gabelle, 1976. They intend "to present photographs only if a sincere attempt has been made to explore and develop the medium in a creative way. It is a medium that is yet to be accepted by a lot of people as an art form. We noticed that in the current Printmakers exhibition touring the country a lot of the artists had used photography in some form." Mark Twain Gallery, Copperfield Centre, Beach, Paraparaumu. “We have been approached by individuals regarding exhibitions but to date no firm arrangements have been made. We would be prepared to hold photographic exhibitions." Wellington Settlement Gallery, 155 Willis Street, Wellington. Exhibited: 'The Active Eye', Warwick Teague, Victoria Ginn and Sally Adair. Although they have no photographs in stock or on consignment, they would be interested in doing so. ' 'We have received excellent response and interest in shows held to date and would be most interested in showing further work (we would be pleased to receive enquiries for further one man or group shows in 1977)". Suter Art Gallery, Queen's Gardens, Nelson. "Would be very interested in any photographic exhibitions. This is a semi-public Art Gallery interested in showing anything really creative." Canterbury Society of Arts, 66 Gloucester Street, Christchurch 1. Exhibited: group shows, 'New Artists 1976' and Paul Johns in 1976. "We would like to widen this particular aspect of the visual arts. The "Print Gallery" is most conducive to photographic exhibitions." more interest in photography, but unfortunately they are not prepared to pay the high prices that many artists put on their work. take us into mid 1977." ©PhotoForum Inc. Reprinted from Supplement to PhotoForum 37, April May 1977. In its June 1981 issue, PhotoForum published an update on Ted Quinn's survey carried out by Diane Quin and Janneke Vandenberg: 'On Collectors', pp 20-23. It included responses from 19 art galleries, museums or libraries and three private collections, those of Hardwicke Knight, William Main and Ron Brownson. 40 years is a long time. I remember getting some big posters of the Burton Bros photos, and selling them in Auckland for Photo Forum. Also setting up the dark room with black polythene on the bathroom windows, at night.Developing and printing the photos taken during days of street photgraphy.